Locke & Key image courtesy of IDW Publishing. 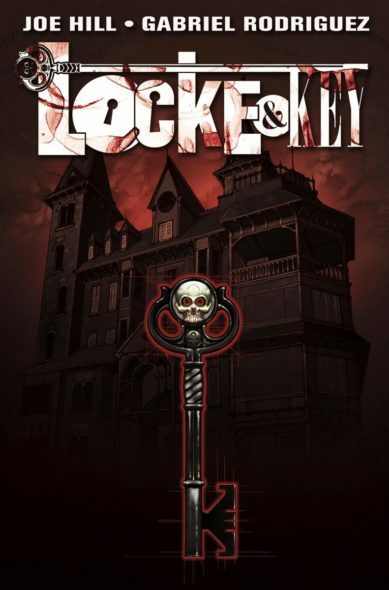 To every lock, there is a key… IDW Entertainment is developing a Locke & Key TV show adaption. Locke & Key comics creator Joe Hill (Stephen King’s look-alike son), aka Joseph Hillstrom King, will write the pilot and serve as showrunner. Hill will executive produce with Ted Adams and David Ozer from IDW Entertainment, and David Alpert and Rick Jacobs from Circle of Confusion. This is not the first time Locke & Key has landed in development. In 2010, FOX greenlit a Locke & Key TV series pilot from from DreamWorks TV and executive producers Alex Kurtzman and Roberto Orci. The cast of that Locke & Key TV show pilot included Nick Stahl, Miranda Otto, and Sarah Bolger. The pilot screened in 2011 at New York Comic Con. Below, watch a trailer for the 2011 version of Locke & Key. Here is the trailer for the 2011 Locke & Key TV show pilot for FOX. Get more on the new Locke & Key TV show adaption information from this IDW Publishing press release. Casting on the newest Locke & Key adaptation has yet to be announced. When we know, you will. In the meantime, watch a promo for “Behind-the-scenes of Joe Hill’s Locke & Key,” — an audio-play, from Audible. What do you think? Are you a fan of the Locke & Key comics? Who would you like to see cast in the Locke & Key TV series? Do you expect Locke & Key will be ordered to series? Which network, channel, or streaming outlet should order Locke & Key? More about: FOX TV shows: canceled or renewed?, Locke & Key, Locke & Key: canceled or renewed?, Locke and Key, Locke and Key: canceled or renewed?